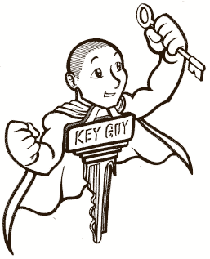 Click here to open an account with Key Guy Mobile Locksmith: Kakaako! "Unlocked my front door in 5 seconds"
Thank You Key Guy!! Unlocked my front door in 5 seconds. Last time it took the other locksmith about an hour... The Key Guy knows his trade. Saved me time and money.